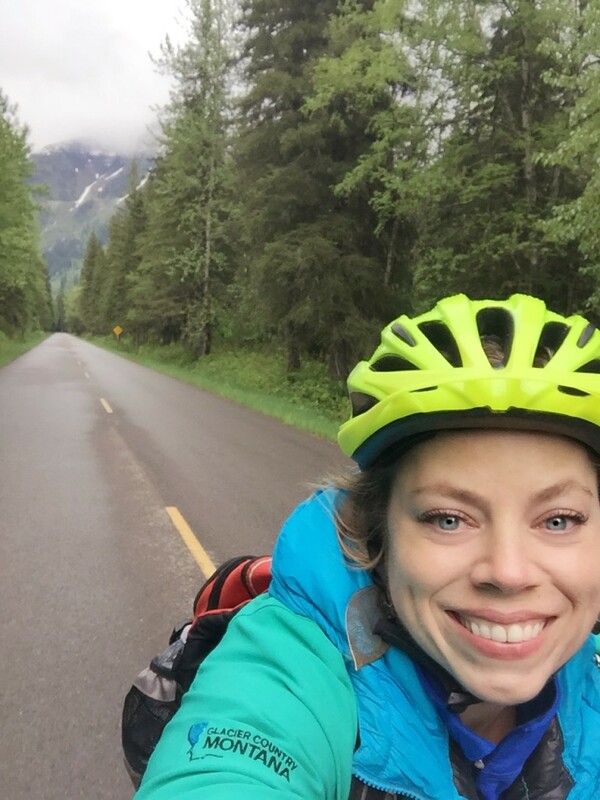 You guys, I have to tell you something: riding Glacier National Park’s Going-to-the-Sun Road on a bike is one of the best things you could ever do. Sure, parts of it are hard (at least it’s hard if your name starts with a T and ends with an -ia) and yes, you may wonder how in the world your legs can and will keep pedaling uphill as you slowly make the elevation climb from the valley floor toward the tunnel and up to the loop but I’m here—alive and well—to tell you that those things are well worth the experience of biking in one of the most beautiful places in the world—Glacier National Park. Sidenote: while parts of this road may be difficult if you don’t bike regularly, it is totally doable and quite literally one of the best things I’ve ever personally done. 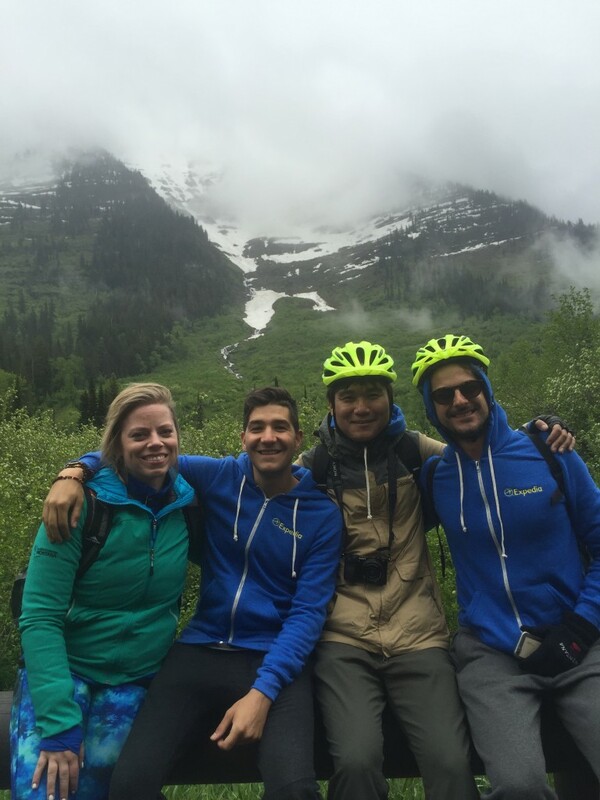 A bit of backstory: in mid-May, I grabbed three new friends who were here exploring Western Montana’s Glacier Country and we headed for Glacier National Park with one mission and one mission only: to pedal our bikes up the Going-to-the-Sun Road. And pedal we did. To sum it up in three words: it was awesome. Here’s the other thing: I had done this before, back in the days of yesteryear, and I drive this road regularly. 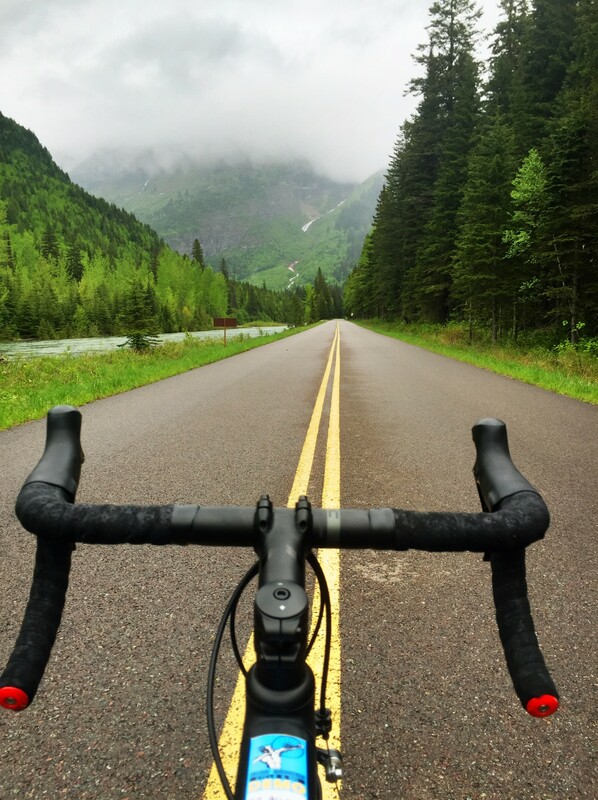 But there is nothing that compares to biking the road in spring when it’s just you, your bike and your riding companions making your way up the road before Glacier National Park opens it to vehicular traffic. This view, and moment, is one I won’t soon forget. Low-hanging clouds made the day even more magical. Stopping to record this moment with friends. PS: don’t mind the line on my forehead. The “one size fits all” helmets don’t apply to this big-headed girl. The good news? My head was very safe. 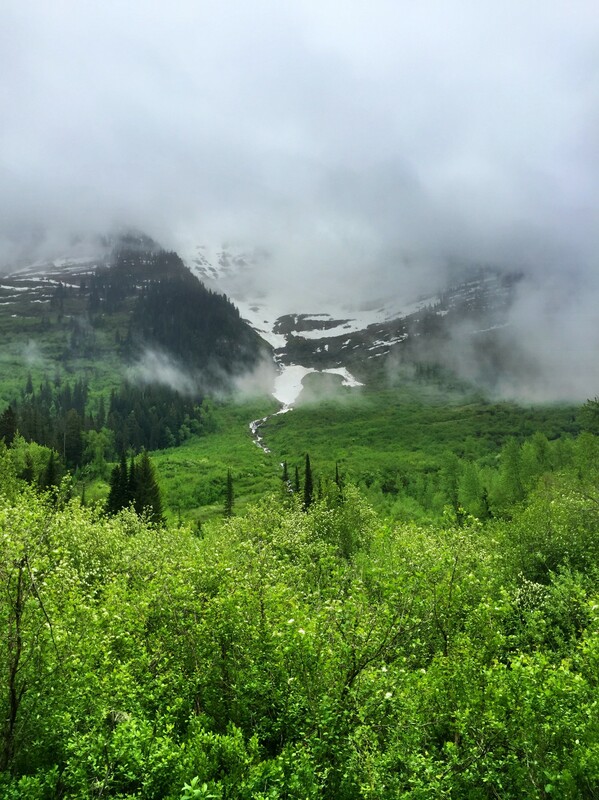 This view during spring can only be seen by hikers and bikers on the Going-to-the-Sun Road. For this Montana-lovin’ girl, this is perfection. Heading back down the road through the tunnel. I had to stop time and time again to soak in this experience. Wind-swept hair + watery eyes ironically equal my perfect May day in Montana. -You can bring your own bike or rent one. If you’re renting, I recommend picking up a rental bike at Great Northern Cycle & Ski in Whitefish. While their whole team is fantastic (special shout out to Craig and Stella! ), Willy gave our group incredible service and detailed explanations about our bikes when we picked them up. -Plan to ride in spring before the road is open to car traffic. -Take advantage of the brand new and free bike shuttle service. 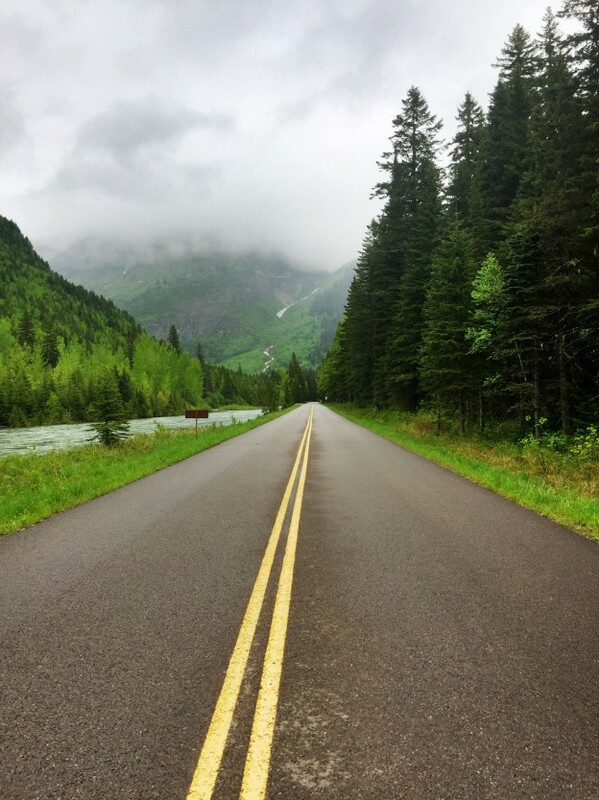 The biker shuttle runs daily from Apgar and Lake McDonald Lodge to Avalanche Creek now through June 26, 2016 or when the Going-to-the-Sun Road opens to vehicular traffic, whichever comes first. 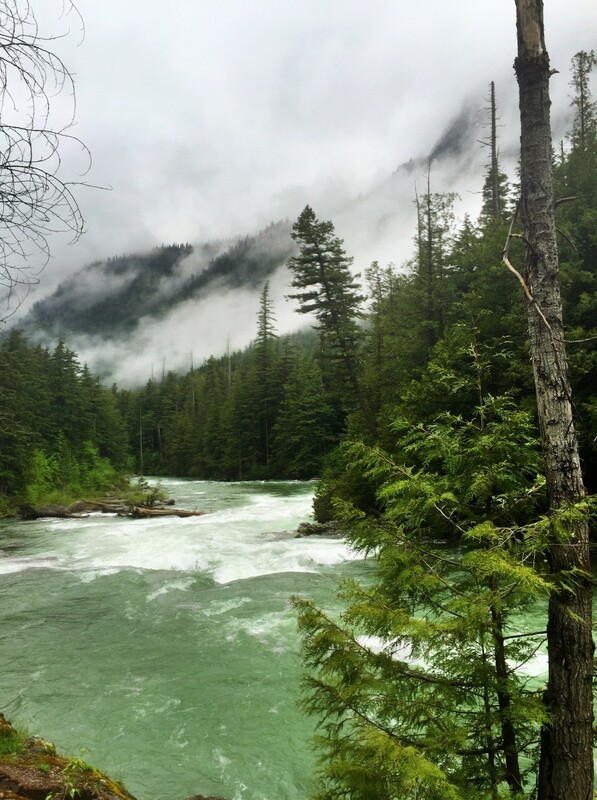 This entry was posted in Glacier National Park, Spring and tagged biking, Glacier National Park, Glacier Park, Montana, Spring on May 27, 2016 by tiatroy. 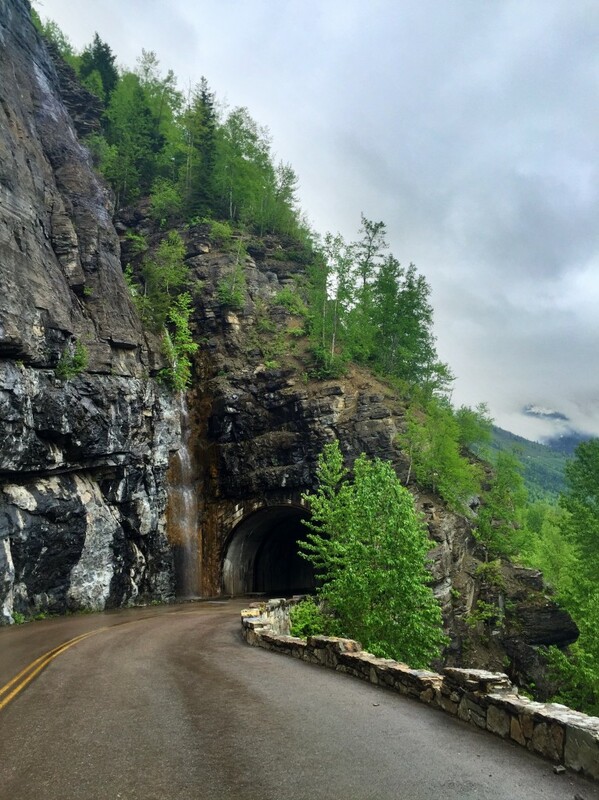 In 2004 my daughter living in Bozeman and I decided on a two week bike trip to celebrate her 40th birthday (I was 67) with Going To The Sun Road being our first day’s ride. 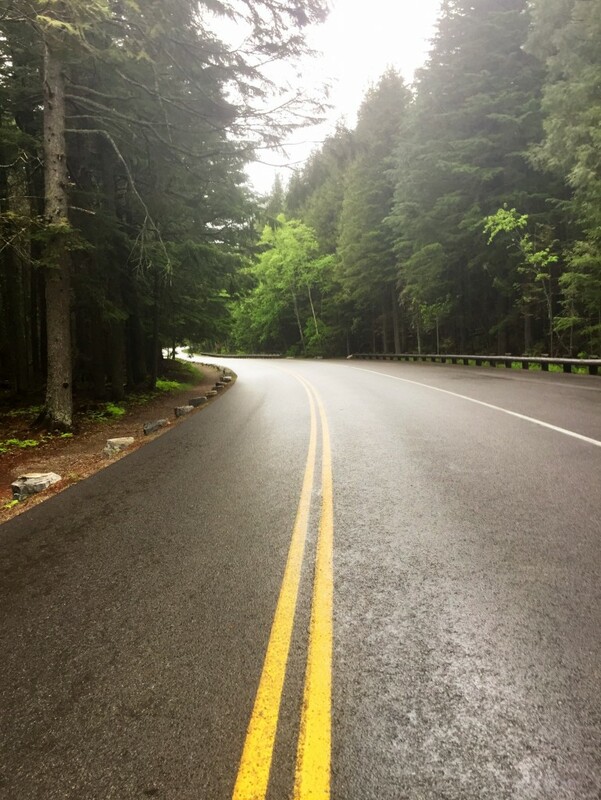 I was living in Bar Harbor, Maine and trained like crazy on Cadillac Mtn, some days as much as five repeats – three miles up, 1500 ft elevation. She even called me and reminded me that she’s busy being a working woman, had heard about what I was doing and I should back off. Lotsa luck! 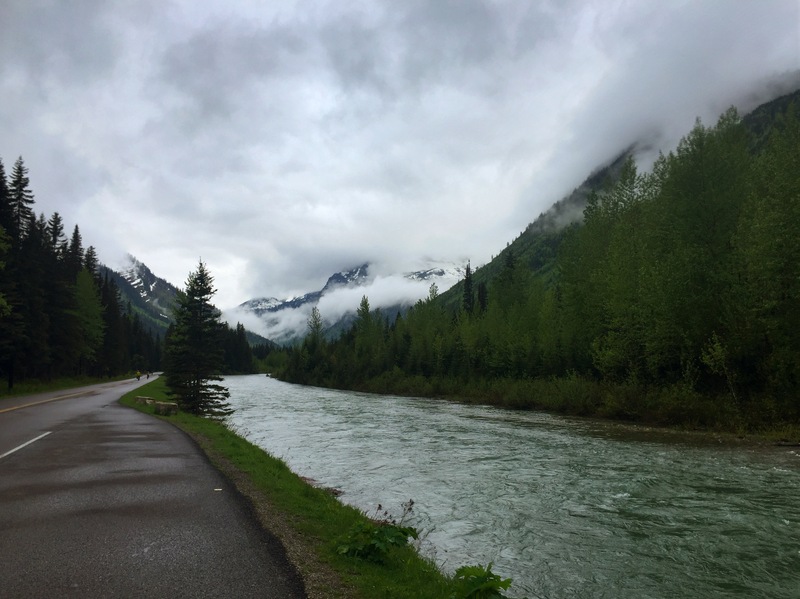 The Sun Road turned out to be not as bad as touted and we loved the ride, still love the memory. After a week riding around GNP, including back over GTTS from East to West (much easier) we went Banff to Jasper, a total of seven elevations of 11 miles or more, none as beautiful as GTTSR. Needless to say, she smoked me on every hill, but I loved it anyway. That sounds amazing, Dan! Thanks so much for sharing.